I have written several posts on the reasons why people shop too much and I’ve also explored my own personal motivations for overshopping. Earlier this month, the topic of reasons for shopping addiction came up in my private Facebook group. I was impressed by both the depth and diversity of the responses and thought it would be helpful to post some of them here. It’s my hope that reading these insights will assist you in becoming more present to what’s behind your compulsive shopping. My overshopping was due to self-esteem issues. I’ve always lacked self-confidence and thought that dressing well would make people like me. I don’t know if something caused this or if it was just how I was born. I’ve learned that others place far less importance on my appearance that I had thought before. But at the same time, I think the desire to look good in order to gain acceptance will always be there to an extent. Discovering that it’s possible to dress well with a moderate-sized wardrobe of well-chosen clothes has helped to curb my shopping considerably. A good part of the “why” was because I gained 100 pounds after I quit smoking. I wanted to feel good about myself again and I thought that new clothes would change my self-concept. That, coupled with getting a good-paying job after years of being a stay-at-home mom and never spending on myself, led me to go overboard with my shopping. Sometimes I engaged in what I called “aspirational.” My shopping was a way of trying to fit in and attempting to be like someone else whom I thought was more beautiful, better dressed, whatever, than I. For me, it used to be low self-esteem. I tried to look nice so that others would accept and love me. That’s silly! I’ve learned that they (workmates, friends, new acquaintances, etc.) will love me or hate me regardless of what I look like. Their feelings toward me depend more upon my character and my actions, not my appearance. I used to shop due to low self-esteem. But I’ve found that I feel better about myself when I make a little effort and people do treat me differently (better) when I am dressed nicer. Or perhaps I just give off better vibes because I’m happier with myself. But it’s definitely hard not to get caught up in the whole “fast fashion” cycle and the resulting overshopping. My reason for shopping too much is boredom and wanting to fill in time. I also think that I work damn hard and deserve to shop, especially since I don’t have any other hobbies (I’m trying to fix that). I also justify my shopping by thinking about how my husband spends so much on his golf hobby, so why shouldn’t I spoil myself? Boredom does it for me, too. When I’m at “loose ends” and need something that’s relaxing, social, and not too taxing on the brain, I end up shopping. These days, shopping for me is about boredom and loving fashion. Also, I tend to continuously look for something new in many aspects of my life. That’s a sign of dissatisfaction, isn’t it? Although I can also apply this tendency toward good purposes as well (learning languages, travelling, etc.). I shopped when I was upset, especially when my boss would criticize or berate me and I couldn’t figure out a way to confront him. I got very angry and emotional, so I went shopping. Or if I got nasty comments on a work post I wrote and didn’t want to “feed the trolls,” I went shopping as a way to self-soothe. There are more reasons, but shopping instead of confrontation is definitely a theme for me. It’s difficult to be thoughtful and wise when I get triggered. A good therapist is worth their weight in gold in helping to deal with these types of issues. But like anything else, you need to find someone you can work with. I shopped because I had not learned to talk about my emotions. Whenever I was happy, sad, anxious, etc., I would shop. I had a “burnout” about five years ago and went to therapy. Thankfully, I have stopped my emotional shopping. I still love thrifting for clothes, but I think of it as a hobby instead of a problem. I shopped as means of dealing with my anxiety and curing boredom. I shop online so the methodical clicking and choosing involved, and the focus it requires, allows me to tune everything else out. Online shopping is like meditation for someone with A.D.H.D. (I can’t actually focus enough to meditate). I think what I need to do – and what I try to do – is find activities that absorb me in the same way but have a positive result, like weeding or gardening. I know that my shopping behavior is driven by my emotions much of the time. I could be happy or sad, or even just avoiding dealing something in my life that needs to be done, and I will shop as a way of managing my feelings. It’s all just too easy to buy what we think will make us happy and far harder to sit with the emotions and just“be.” At the end of the day, shopping is just a “fix,” an itch that we can scratch. But what if the “ointment” that fixes the itch is actually causing it? I really love to shop. I love the colors, sights, sounds, etc. I get a literal “high” whenever I shop. If I don’t buy anything, it’s okay to go to the stores and experience this feeling. When I do buy something, I try to make it purposeful buying – knowing exactly what I’m looking for and shopping for that and that alone. I was a “thrill-seeker.” I was completely addicted to the high of getting new things. I literally felt euphoric after shopping. Why I got addicted to that high is a very complex stew of issues, including past abuse and coping techniques, learned behavior, response to stress and boredom, etc. I am a huge believer in individual and group therapy, as it helped me get past several significant issues. If you look at this group, we are an informal, unguided support group. We tell our stories, share our successes and our failures, a comfort each other, and offer strategies to prevent future failures. For many women, shopping serves as a way of connecting with other people, especially family members and friends. In some relationships, shopping is the main shared activity, as has been true for me with several friends (I wrote about shopping with friends in this post – and this one). Shopping with my mother was a huge bonding activity, as it was with her mother. 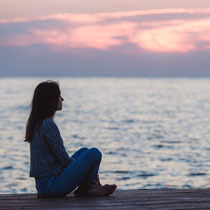 For us, the answer to almost any situation was to shop as an activity, outlet, stress reducer, celebration, coping mechanism, hobby, and distraction. This is a learned behavior and ingrained habit that I’m working on systematically unlearning. The support from this group and incorporating the ideas I learn here is making a huge impact on my progress. I shop with my mom as a means of bonding. Some of my fondest memories are of shopping with both her and my grandmother. I think I shop for a life that I would only have if I got out and did something about it. I feel very unfulfilled in my life. I thought that having the clothes someone might wear for the dream life in my head would help me to act “as if.” Except it doesn’t work like that. I just end up feeling more disappointed. I very much like the escape of imagining or pretending at some level (not so much consciously) what my dream life would be like if I had the perfect wardrobe and lived in the perfect home. I shop for an unreal life. I buy a lot of clothes for going out, such as nice evening or event dresses. But I actually don’t go out that much! Perhaps this shows my wish for a better social life. I should just fix this situation, instead of buying the equipment for this desired life. I actually bought a wedding dress once. It was really simple, in good condition, and cheap, so I bought it! I think it’s the craziest thing I’ve ever bought. And there was no way to deny the reason… It’s clear that I would like to get married, although I’ve been living together with my boyfriend for years. I would like to be with my friends and family for a simple and casual yet joyful event. Of course, my boyfriend doesn’t know about this stupid purchase, although we do speak about a wedding someday. I think the most logical way of dealing with the desire for a different life is to speak out about it. Don’t just dream it. I grew up with a mom who often complained about not having enough, especially in terms of money, and I think this influenced me as well. So I think overshopping is a “scarcity response” for me at times. This comment resonated with me, as my mom would use the words “we can’t afford it” often and regularly lectured me on the difference between “need” and “want.” I grew up with a scarcity mindset and as soon as I had disposable income or was able to obtain credit, I began buying whatever I wanted for myself. I went from feeling deprived to going completely in the other direction and not moderating what I bought at all. Although I touched upon some of the more common reasons for overshopping in this post, this has by no means been an exhaustive list. Now I would love to read about your thoughts and experiences. If you have (or had) a compulsive shopping problem, what do you think was driving your behavior? Can you identify with the reasons shared above? What do you have to add to the thoughts expressed above? What else would you like to share about what may have caused your shopping addiction/compulsion? I invite you to share your insights here. Debbie, these posts where you expose the layers underneath are really your best. So many of us benefit from your honesty, and the honesty of those in the facebook group. I look forward to reading what you and the others write every day. Okay, as for shopping too much, I think I just liked having cute new stuff. Cheaper was good because I could get more. I didn’t think much further than that. I loved having a new outfit to wear. Period. Now I try and think in terms of a whole wardrobe instead of cute outfits in singularity. I still like having new looks, I’m not gonna lie, but I also like having a working wardrobe from which to create them. I find I’m also getting a sense of satisfaction from a well thought out buying strategy overall for the shopping year. Sure, I still buy the fun impulse thing now and then, but it’s not the way I shop anymore. As for my main cause these days for overshopping, it is time on my hands. Not necessarily boredom but that plays into it. Just huge blocks of unscheduled time. I find I can wander online for hours at a time. This still happens I just don’t buy as much as look lately. Definitely could work on it, though. Yes, “myriad” is one that many get wrong, Mo! Thanks for sharing about why you shopped too much. I always liked having cute new stuff, too, and I still do. But like you, I am benefiting from focusing on building a working wardrobe rather than just buying whatever catches my eye. I know what you mean about time on our hands. I rarely feel bored, per se, but having big chunks of unscheduled time can lead to shopping for sure. I think you’re doing great! We all have more things we can work on, but you have made excellent progress. I can relate to several of the reasons listed above. My mother and I shopped together a lot, ever since I was a little girl, and it was our primary bonding experience. She was also the one who taught me about hiding purchases from dad/husband, using your own accounts so he could not see the transactions and lying about purchases, habits that plague me to this day. I have shopped a lot in the past out of low self-esteem but now I mostly shop out of restlessness and boredom. I am shopping less and more thoughtfully, but I still feel like it’s too much. I just got back from a 10 day road trip during which I felt no need to shop and slept very well (insomnia is one of the symptoms of my anxiety, especially when I overshop). But as soon as I got back home, I immediately fell back into old thinking patterns and the insomnia returned. It is exasperating but I do feel like there is very slow progress over my lifetime, since I no longer carry credit card debt. I do want to continue reducing my spending, but at the same time I think I have to accept that at 50, I am not going to have a radical personality change and I need to feel happy about progress and not beating myself up aiming for perfection. How wonderful that you have made peace with your shopping, Sharon! I think there is nothing wrong with loving to shop and having shopping as a hobby, as long as we aren’t getting into debt and are able to shop in a conscious and balanced manner. It sounds like you’re doing very well with your shopping these days. I’m very happy my blog played a positive role in the changes you have made. It must feel very good to be able to say that you’re happier than ever with your wardrobe. Good to see you weighing in here, Tara. I appreciate your sharing your experience and can identify with a lot of what you wrote. I also struggle with insomnia that is at least partially related to my thought patterns. Interesting that you slept so well on your road trip! I think you’re smart not to expect radical personality changes at your age. I am coming to the same conclusions and am aiming for smaller but still meaningful shifts in both my thoughts and behavior. A little can go a long way! Beating ourselves up never helps us to change. In fact, it often makes things a lot worse. I always try to remember that, but the self-flagellation pattern can be hard to break. I wish you the best with your continued progress and look forward to hearing how it comes along for you. I really am fascinated by your “overshopping” posts because I never thought of myself as an overshopper before, but I’ve definitely experienced the entire range of feelings described above and “self-medicated” either by shopping or doing something else to “cheer me up” due to my internal feelings of lacking something. I did not realize how prevalent this was. Thank you! I think that even those who are not overshoppers can shop for emotional reasons sometimes, Jane. It’s the same for those of us who are not necessarily compulsive overeaters but sometimes use food as a coping mechanism. I don’t think it’s really a yes or no proposition, but more like a continuum. Some of us have gone far off the rails with our shopping, while others only have issues here and there. I’m always happy that those who don’t consider themselves shopaholics still benefit from my posts. It is so interesting how underlying emotional issues contribute to unhealthy / problematic shopping behaviors. I don’t think I was ever an over-shopper, but I used to shop for many of the above reasons: fantasy life, bonding, and dealing with emotions. The fun part was finding a lot of eclectic clothes. The less fun part was feeling increasing guilt over not wearing many of them, buying things that didn’t really fit, buying things with the intention of altering them but never doing so, and wasting money. Now I have been struggled with depression, self esteem issues, & significant financial limitations. 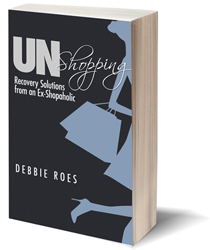 One way those underlying issues have manifested is as problematic under-shopping. Although it is not an addiction, it is a wardrobe woe. I am a larger size now, and finding things in my size range is difficult and no longer fun. Because of the money situation, I feel like I can’t afford to make mistakes, and this perfectionism makes shopping even more difficult and less fun. Both tie into the depression, and I get overwhelmed, indecisive, and anxious making purchases, to the point that I usually can’t, even when I really need to say, replace my leaking rain jacket. It is similar to the pauper mentality closet personality type. I am working on resolving those core issues in various ways and hoping that the under-buying will resolve itself as a result. I think your keen awareness of your situation will help you to make progress and reach a sense of balance with your shopping. Best wishes to you! First, I would like to say hank you for your continued dedication and for the work you do writing this blog. I fall into the category of over shopping and over buying due to not being able to have what I really wanted so I accepted buying clothes, shoes and bags as a substitute. After raising my three kids, when my youngest graduated from college and became financially independent for the first time ever I found myself with enough extra income. I would have preferred to spend that money traveling, but our job related work responsibilities did not permit us to leave town often, and traveling was not an option. Instead since I had to work long hours I bought myself fabulous work clothes. Also I rewarded myself with buying clothes after completing big work projects, and talked myself into believing that I deserved to have lots of nice things. But after a few years the novelty of being able to buy whatever I wanted wore off, and my closet was jammed packed, and I was overwhelmed with my large wardrobe. I began lots of soul searching, much inner work and redefined my priorities and began to make changes in my thought process and in my closet. 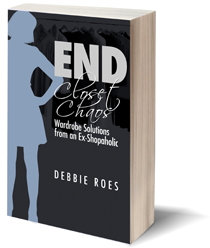 I began to downsize, letting go of things I seldom wore, stopped shopping as a hobby, and ultimately came to the decision that I wanted a small, well functioning wardrobe. During this time period I came across this blog and have been reading ever since. For the past 5 years I’ve maintained a small wardrobe and have found that having less suits my present needs perfectly. I appreciate what you wrote about my dedication and work on this blog, Terra. I also appreciate your sharing about your compulsive shopping issues. I think that a lot of people buy clothes (or whatever) as a sort of “consolation prize” because they can’t have what it is they truly want, be it travel, love, the career they desire, or whatever. I know I have done that many times. I use shopping as a way to soothe or placate myself. I’m trying to learn not to do that and to find more productive ways of making myself feeling better and/or taking “baby steps” toward what it is I really want. I’m glad you have been able to turn things around so well and are now happy with a smaller and more functional wardrobe. That is what I want now, too, and I am working towards it. This is so thought-provoking–your most interesting type of blog, the psychological. probably all of us have been impulsive about purchases and have over-eaten. It seems to be part of being human in today’s world. Even though I seldom over-buy, I have this “I have to go out and get it right now” feeling when I do decide I need/want something. Seeking perfection. Ithink, too, some of us are more easily addicted–to clothes, shopping, gadgets/toys, food, alcohol. ( My addiction is to order and overly thinking things through, and I also like candy and try not to bring it in.) I once read that shopping and food problems are commoner among women because you can still be “nice” and acceptable if you indulge in these ways, but that other vices such more toxic substance abuse of alcohol or other drugs are seen to be unfeminine and not acceptable in the mainstream of the perfect woman/girl. I hope this attitude has changed by now. What do you think? Thank you, Debbie, for the wonderful post. Please keep them coming. I love “bargains” too much. Clearance calls me, and I end up settling for things just because they were a “good deal”. I also am always scared of needing something in the future and having to have back ups even if I don’t like the back ups very much. I’ve been doing much better about this lately and have purged a lot and have also been spending a bit more sometimes to get something I really want as opposed to things that are good enough. I did do something a little silly yesterday; I ordered 9 things from Schoola (an online thrift store, essentially) because there was this new member credit and discount that let you get $60 worth of clothing for free. I couldn’t pass it up, but I want to stay firm in donating anything that doesn’t fit right once it arrives. Thanks for your comment, Kate. I struggle with loving bargains too much, too. It’s a hard habit to break, but tracking what I buy and how much I wear it has helped me to realize that many of my “deals” end up just hanging in my closet gathering dust. I have done much better shopping from a list and buying what I know I will wear, but I don’t always do this even though I know it’s what’s best for me. I think it’s good that you plan to donate the new Schoola things that don’t fit you well. No use hanging on to them, as it may make you feel guilty to see them in your closet. Your awareness is an important step toward change, but it definitely takes time to change our shopping patterns. Best wishes to you! Hi Debbie, I discovered you and your blog by watching the today show. Since then I have read everyone of your posts and all the comments. I have been a busy girl. I counted everything in my closets and came up with 253 garments, including shoes, but when I tally up handbags, wallets and pouches my numbers shoot up to 387. So that tells you where my problem area is. I stopped working 5 years ago, discovered online shopping and that became my job. Always looking for the best deal, and boy did I find them. This became all consuming and I have been trying to stop. You came into my life at the right time and I will be forever greatful. I am not cured but I have not bought anything on line since. I now am obsessed with your blog (a good thing) THANKYOU! Welcome, Cindy! I’m glad you’re here and are finding my blog helpful. I’m extremely impressed that you’ve been able to read all of my posts and all of the comments in just one month’s time! Good for you for doing a closet inventory. It helps to know what we’re starting out with and it’s great to see your progress throughout your journey. It seems you have already made great progress and I’m happy to have played a role in that. I wish you continued good luck. Please comment again to let me know how you’re doing. It’s totally understandable that things are challenging for you, Cindy. After all, you didn’t develop a shopping problem overnight, so it’s not reasonable to expect that it will go away quickly, either. The important thing is that you are asking yourself the hard questions and taking steps to turn things around. Congrats on canceling the order for the clutch! Yes, it’s a small victory, but it should be celebrated. Your goal for the year is a good one and I wish you the best with donating 10 bags. It’s great that you understand why your shopping problem escalated. With such a huge life change, it’s not surprising. Sending you warm wishes and I’m very happy that my words are helping you to move in the right direction!